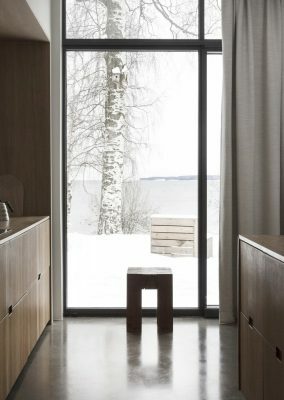 The initial idea behind the cluster style house was to build a home with a warm and inviting feel where one can truly hibernate and take shelter from the cold of the Nordic winter. 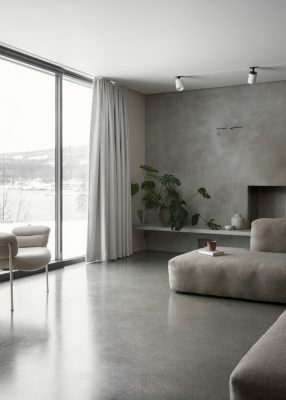 Gracefully embracing the hillside terrain, with breath-taking views of the Mjøsa Lake, the Gjøvik house merges with its surroundings in a modest and natural manner. Positioned at the centre of the property, the kitchen offers an impressive outlook on both sides with an influx of light from floor-to-ceiling windows. As you move through the house, views are framed within windows in each of the cube rooms. 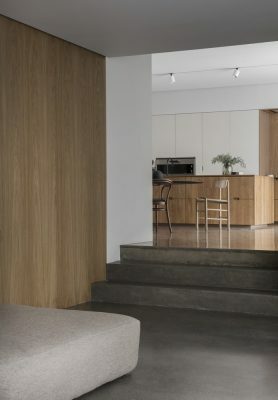 The intertwining is further underlined by the architect’s choice of materials, floor becomes wall and wall becomes floor in an ever-changing world of concrete and wood in subtle warm tones. The addition of built-in furniture adds to the soft, minimal expression in this unique family home. 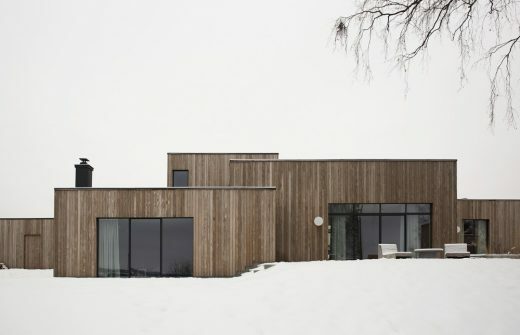 The exterior façade boasts narrow Kebony cladding which will eventually fade and blend in with the surrounding landscape as it gradually develops its silvery-grey patina. 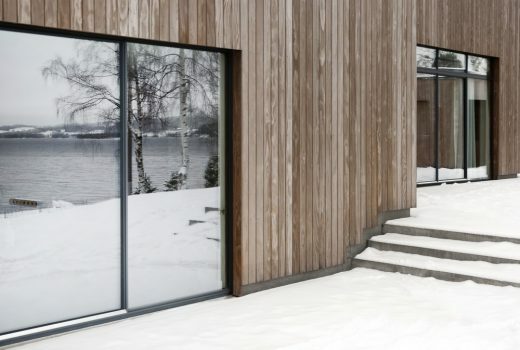 Kebony was selected for its aesthetic qualities, providing a natural appearance for the house. 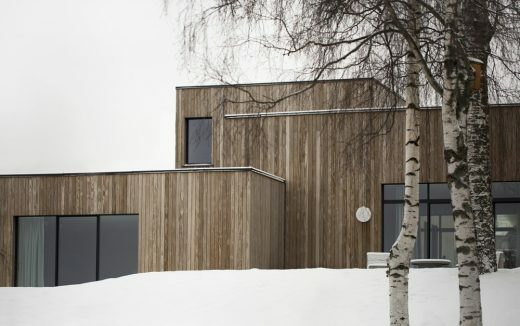 Additionally, Kebony requires no maintenance beyond normal cleaning and is highly dimensionally stable and resistant to wear and weathering, further confirming it is the perfect material for the exposed location of the Gjøvik house. Developed in Norway, Kebony’s revolutionary technology is an environmentally friendly process, which modifies sustainably sourced softwoods by heating the wood with furfuryl alcohol – an agricultural by-product. By polymerising the wood’s cell wall, the softwoods permanently take on the attributes of tropical hardwood including high durability, hardness and dimensional stability.